Waltham teens activate the front lawn of the public library! 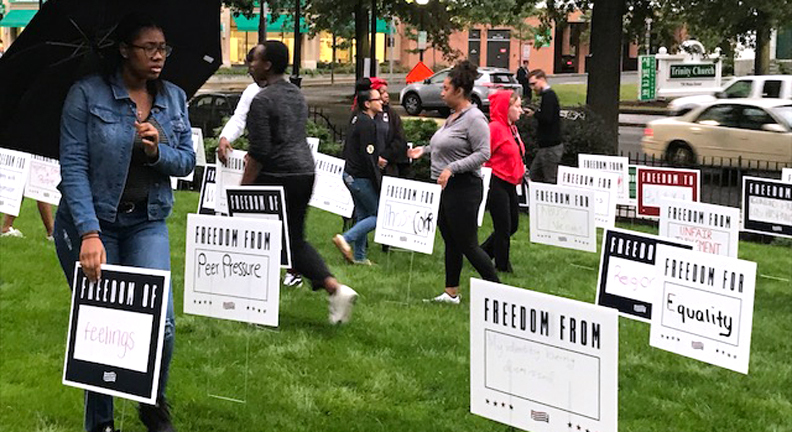 In partnership with the For Freedoms 50 State Initiative, Waltham teens filled out and presented a series of lawn signs that were exhibited on the front lawn of the Waltham Public Library for the entire month of October. 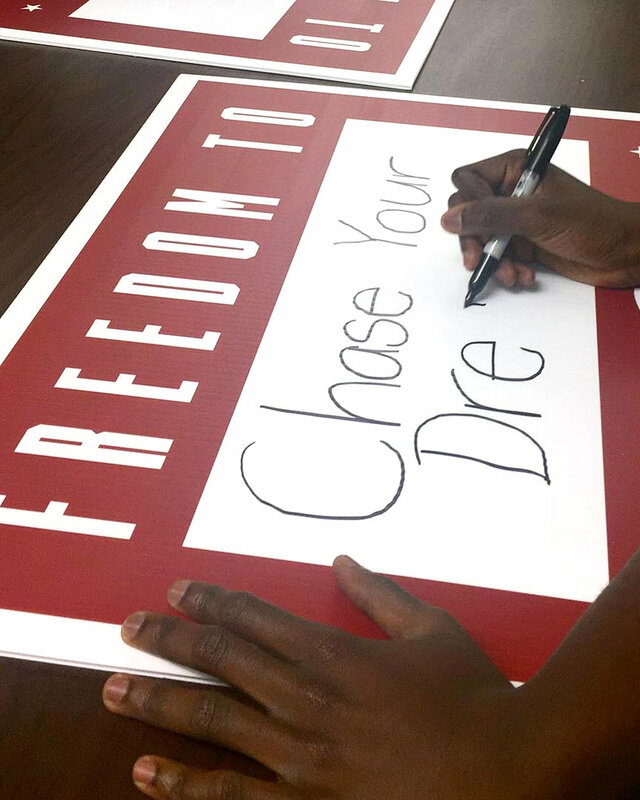 While most political decisions are being made by adults, these lawn signs represent the hopes of Waltham’s teens for their lives, their communities, their country, and their world. This project was made possible by Blueprint Projects, by Real Talk — a youth-led conversation forum at the Waltham Public Library Teen Room supported by Rhyme and Reason Fund of the Boston Foundation — and with the help of our partners, Waltham Public Schools, Waltham Partnership for Youth, and Waltham Boys & Girls Club.